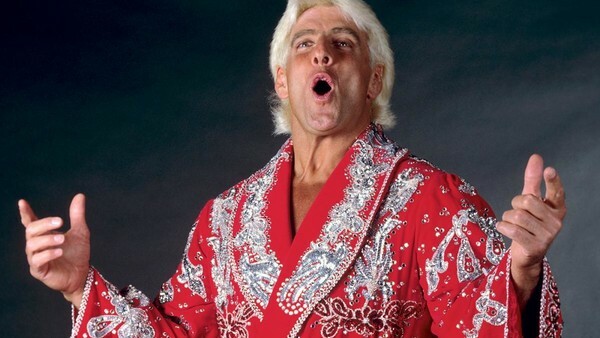 WWE Quiz: Ric Flair - How Much Do You Remember About The Nature Boy? Can you become a limousine riding, jet flying, quiz taking son of a gun? Ric Flair is one of the greatest wrestlers in history. The record 16-time world champion has done it all to become the stylin', profilin', limousine riding, jet flying, kiss-stealing, wheelin' n' dealin' son of a gun he remains to this day. Starting out under the tutelage of Verne Gagne, he wrestled for various promotions before establishing himself in Jim Crockett's National Wrestling Alliance. Following a serious plane crash in 1975, where he broke his back in three places, Flair was told he would never wrestle again. Nevertheless, just how much do remember about The Nature Boy? Who did he infamously last eliminate to become WWF Champion at the 1992 Royal Rumble? How many times has he been named 'Wrestler of the Year'? Just how much did those incredible robes allegedly cost?! 1. Who Did Ric Flair Beat To Win His First NWA World Heavyweight Championship?